Foxconn is turning to artificial intelligence to replace human help on its manufacturing lines. 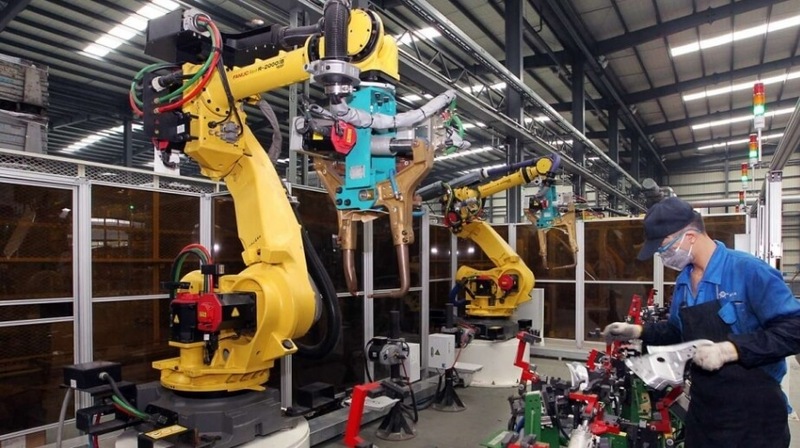 The Chinese electronics manufacturer has cut its workforce from 110,000 employees down to just 50,000 at one factory simply by replacing them with robots according to a recent report from the South China Morning Post. In a follow-up with the BBC, Foxconn said they are applying robotics engineering and other innovative manufacturing technologies to replace repetitive tasks previously done by employees. A spokesperson added that through training, they are enabling employees to focus on higher value-added elements in the manufacturing process, such as research and development as well as process and quality control. Or in other words, the world’s largest contract electronics manufacturer is replacing menial-task employees with robots. Naturally, Foxconn downplayed the impact of its AI helpers. The spokesperson told the publication that it will continue to harness automation and manpower in their manufacturing operations and expect to maintain a significant workforce in China. As the South China Morning Post points out, it’s not just something Foxconn is doing. Last year, 35 companies spent a total of four billion yuan (more than $610 million USD) on artificial intelligence. According to a government survey, as many as 600 major companies in the region have similar plans. Consultants from Deloitte, in partnership with Oxford University, suggest that as many as 35 percent of jobs will be at risk of being replaced through automation over the next 20 years.